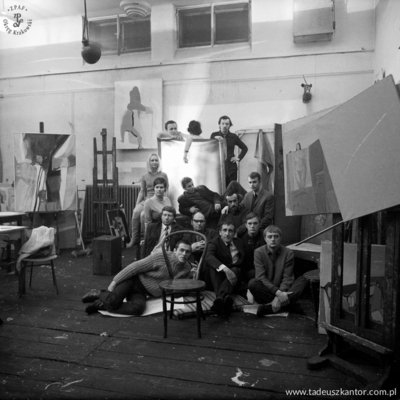 Tadeusz Kantor is one of the greatest avant garde artists of the 20th century. For years he managed his own theatre, Cricot 2. He was an art theorist and an author of manifestos, a great painter, author of drawings, happener, scenographer and theatre director. 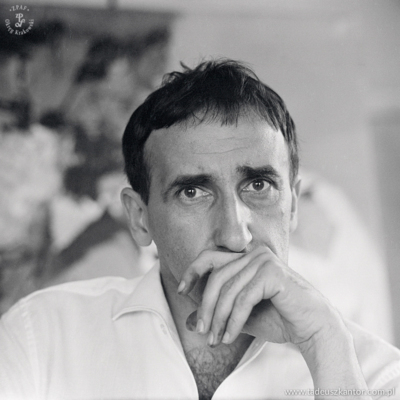 Tadeusz Kantor was born on 6th April 1915 in Wielopole Skrzyńskie. In 1934 started studies in the Painting Department of the Academy of Fine Arts in Krakow. Three years later he signed up for the class in theatre and decorations painting taught by prof. Karol Frycz. 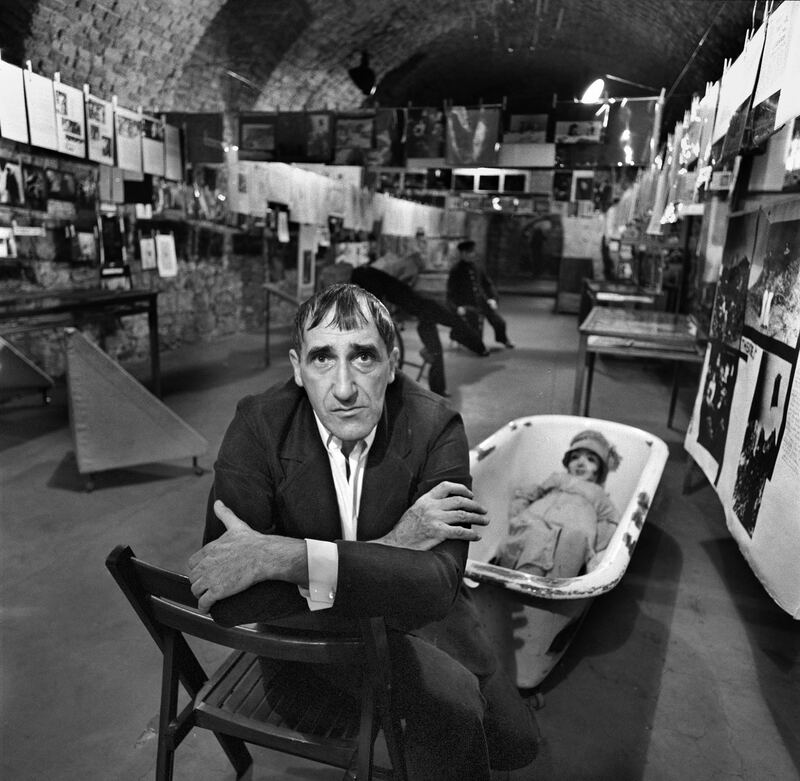 In the late 80s he stages his first play in ‘Bratniak’ at the Academy – Maurice Maeterlinck’s The Death of Tentagiles. 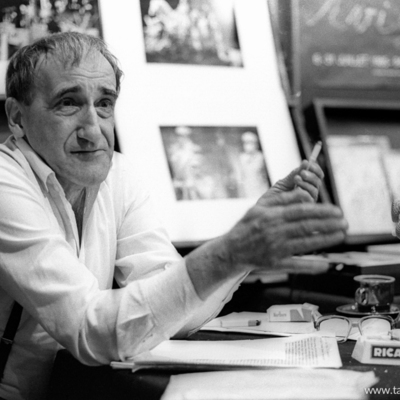 After the 2nd World War Kantor worked as a scenographer in dramatic theatres. He was one of the main organisers of the 1st Exhibition of Modern Art in Krakow’s Palace of the Arts. Between 1947 and 1950 he was a professor of painting in the Art College in Krakow. In the late 40s he was active in the fight for independence of artistic creation, opposing the policy of introducing socrealism into art. This ended in his firing from the professorship position and a ban on participation in official exhibitions during the Stalinism era. With the first signs of the break in the system, Kantor actively participated in art community. He took part in the Exhibition of the Nine in Krakow’s Artists’ House. 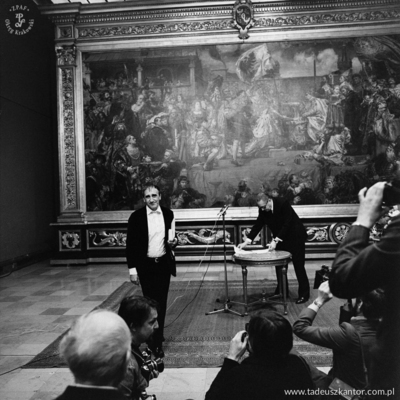 In 1955, together with Maria Jarema and Kazimierz Mikulski he started theatre Cricot 2. He was part of the 2nd Krakow Group. 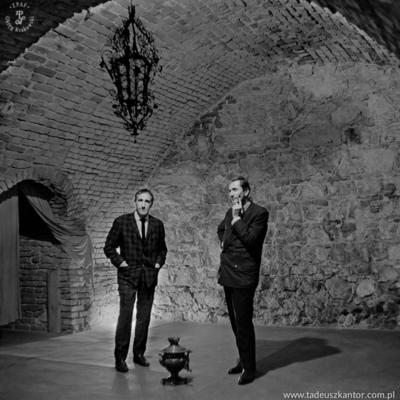 The first twenty years of Cricot 2 theatre’s activity Kantor plays with Witkacy. 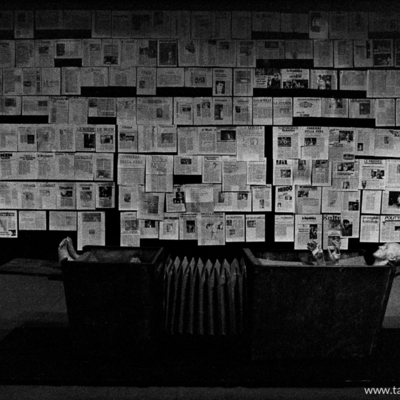 Kantor, presenting subsequent stages of his artistic explorations, uses the plays of Stanisław Ignacy Witkiewicz. The first premiere at Cricot 2 took place in 1956 – The Cuttlefish, realising the idea of Autonomic Theatre. In following years other Witkacy dramas were staged: The Country House – Informalist Theatre, The Madman and the Nun – Zero Theatre, The Water Hen – Happening Theatre, and Dainty Shapes and Hairy Apes – The Impossible Theatre. In the late 80s Kantor evolves as a painter. He enters into dialogue with the most important current movements in avant-garde art. He implements in Poland his experiences gained while travelling. He creates the informalist theatre, emballages and conceptual art. He takes part in numerous exhibitions both in Poland and abroad. He is a pioneer of happening in Poland. In Bled, Slovenia, he creates a series of happenings for the Saarbrücken television. 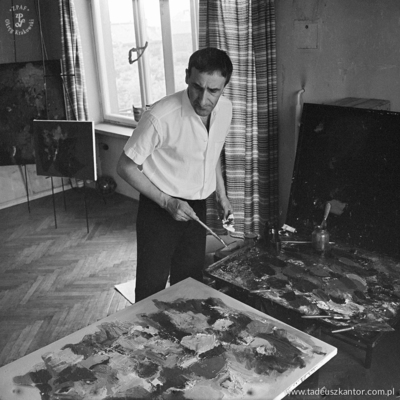 Between 1967 and 1969 he lectures at the Academy of Fine Arts in Krakow. The premiere of The Dead Class starts a new stage of Kantor’s artistic explorations. The staging is accompanied by the manifesto of the Theatre of Death. The Dead Class gains international acclaim. The following presentations of Kantor’s theatrum mortis are Wielopole, Wielopole, Let the Artists Die, and I Shall Never Return. He creates cricotages: Where Are Last Years’ Snows, The Wedding, Machine of Love and Death, A Very Short Lesson, Silent Night. In the summer of 1986 he lectures in Milan, resulting in the publishing of The Milan Lessons. In the late 70s he comes back to figurative painting. 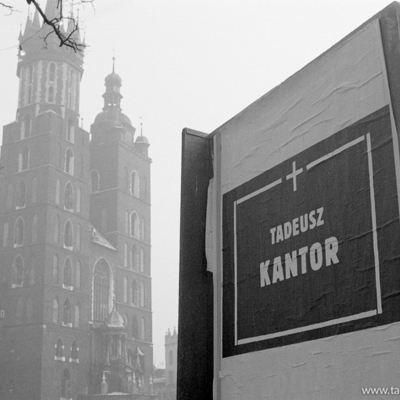 Tadeusz Kantor dies suddenly in Krakow on 8th December 1990 while working on Today Is My Birthday.